Cornell Capa, John F. Kennedy autographing a scrapbook, near Fresno, California. 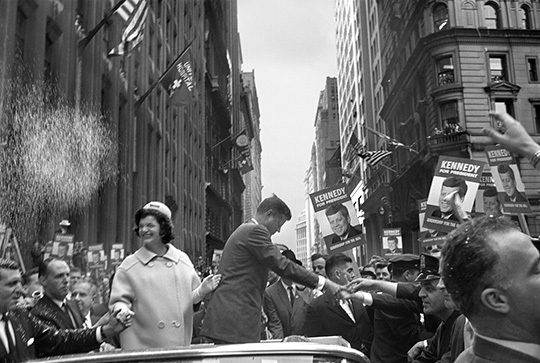 September 9, 1960. © International Center of Photography/Magnum Photos. 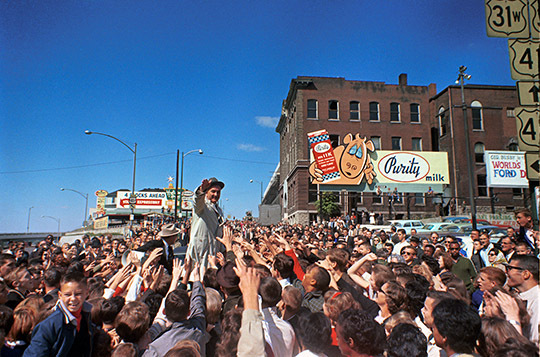 Cecil Stoughton, President Lyndon B. Johnson campaigning, waving to the crowd, October 1964. Courtesy LBJ Library. O.J. 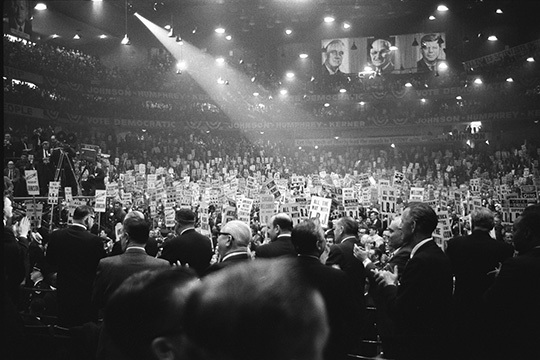 Rapp, Campaign rally for president Lyndon B. Johnson, 1964. Courtesy LBJ Library. 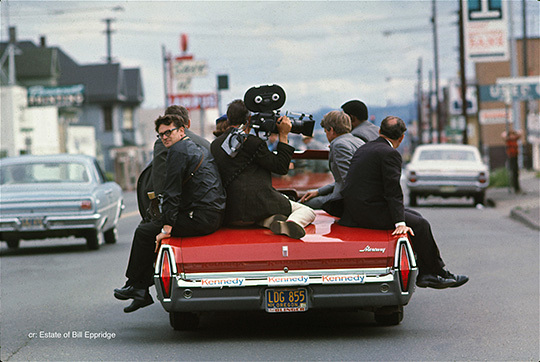 Bill Eppridge, Senator Robert F. Kennedy riding with the press on the back of a convertible, Oregon, April or May 1968. 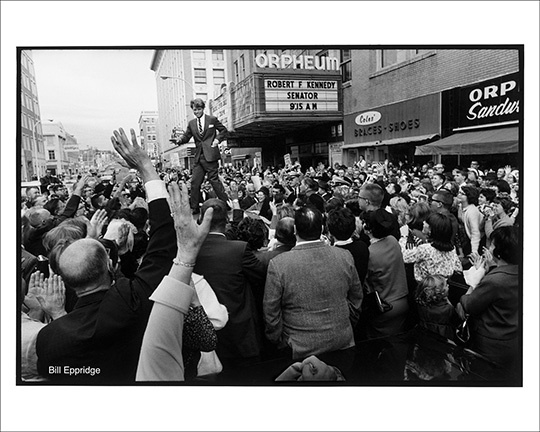 © Bill Eppridge / loaned by Adrienne Aurichio/The Estate of Bill Eppridge. 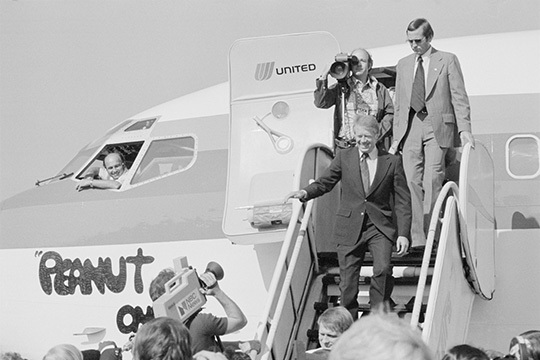 Thomas J. O’Halloran, Jimmy Carter disembarking from the airplane “Peanut One” at the Pittsburgh- Allegheny County Airport for a campaign stop in Pennsylvania, 1976. Courtesy Library of Congress. 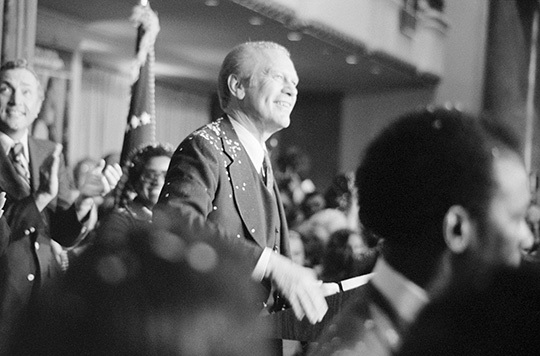 Marion S. Trikosko, President Gerald Ford, covered with confetti, smiles at crowd after his arrival in Philadelphia, Pennsylvania, for the 1st presidential debate with Jimmy Carter, 1976. Courtesy Library of Congress. 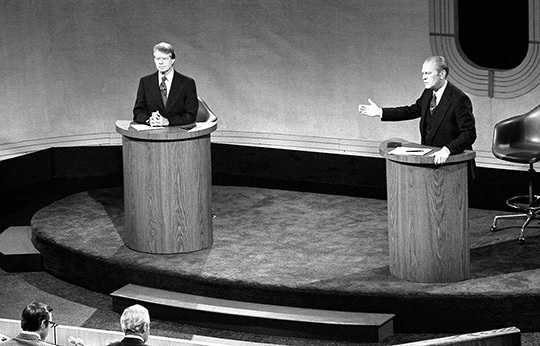 David Hume Kennerly, President Ford and Jimmy Carter meet at the Walnut Street Theater in Philadelphia to debate domestic policy during the first of the three Ford-Carter Debates, September 23, 1976. Courtesy Gerald R. Ford Library. 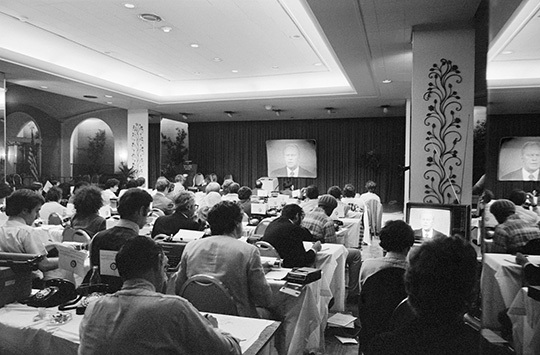 Marion S. Trikosko, Reporters in press room observe President Gerald Ford on television during the 1st presidential debate with Jimmy Carter in Philadelphia, Pennsylvania, September 23, 1976. Courtesy Library of Congress. 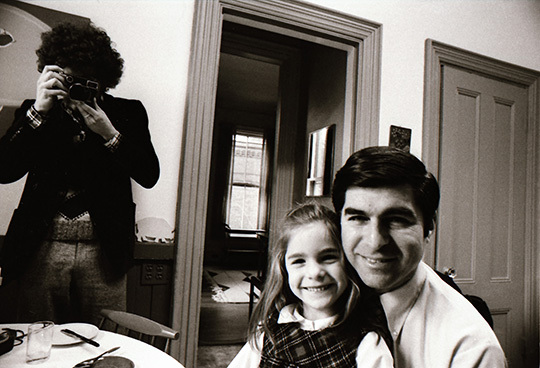 Owen Franken, Michael Dukakis sitting with his daughter, Brookline, MA, 1976.© Owen Franken. 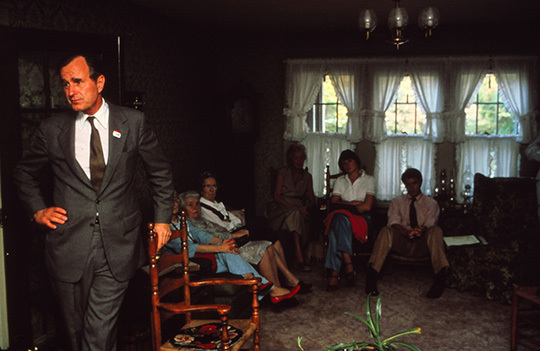 Owen Franken, George H. W. Bush campaigning in New Hampshire, 1980.© Owen Franken. 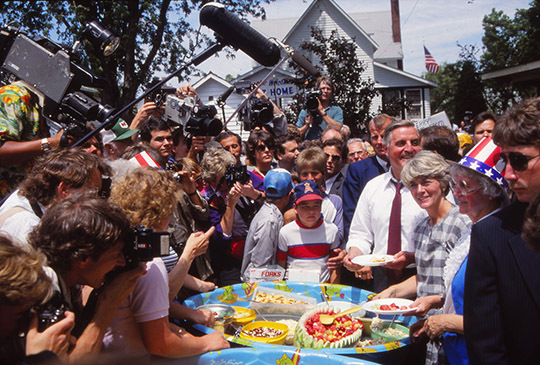 Owen Franken, Walter Mondale campaigning for President, 1984. © Owen Franken. David Burnett, Larry King, Bill Clinton, and Al Gore preparing for a television interview, 1992. © David Burnett/Contact Press Images. Stephen Crowley, A Diner in Iowa, 2000. © Stephen Crowley/The New York Times. Stephen Crowley, Two-Faced Ticket, August 20, 2008. © Stephen Crowley/The New York Times. 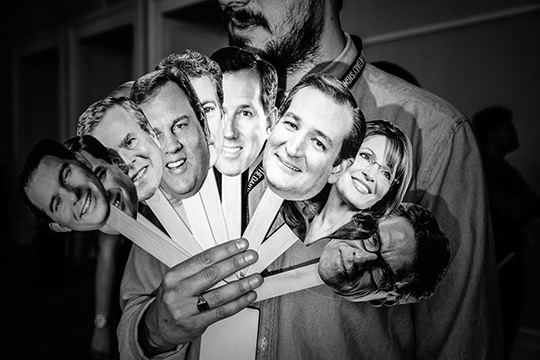 David Burnett, Obama campaigns in a New Orleans school, 2008. © David Burnett/Contact Press Images. 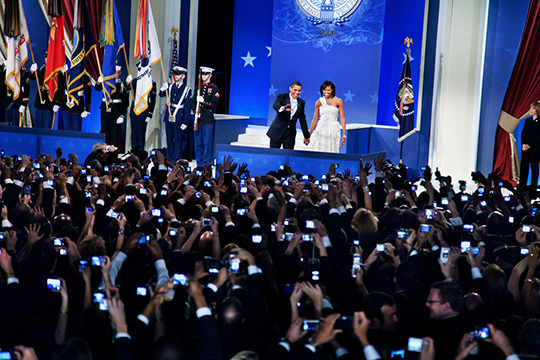 Elliott Erwitt, Inauguration Ball for President Barack Obama, Washington D. C., January, 2009. © Elliott Erwitt/Magnum Photos. Stephen Crowley, We Are Here with President Obama, July 21, 2015. © Stephen Crowley/The New York Times. Mark Peterson, The CPAC convention, National Harbor, MD, February 2015. 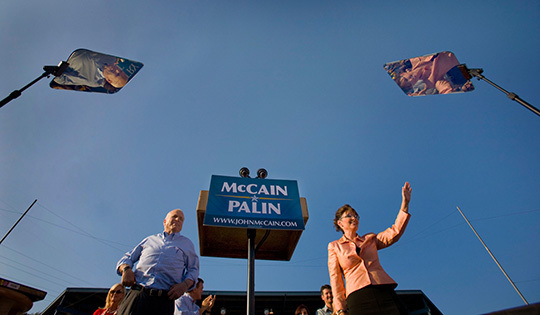 © Mark Peterson/Redux Pictures. 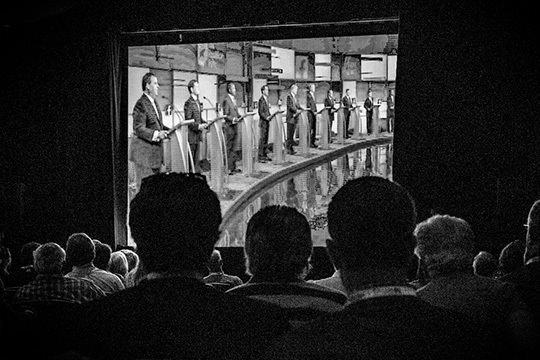 Mark Peterson, Attendees at the RedState Gathering watch the first 2016 Republican presidential debate, which took place in Cleveland, Ohio, Atlanta, GA, August 6, 2016. © Mark Peterson/Redux Pictures. 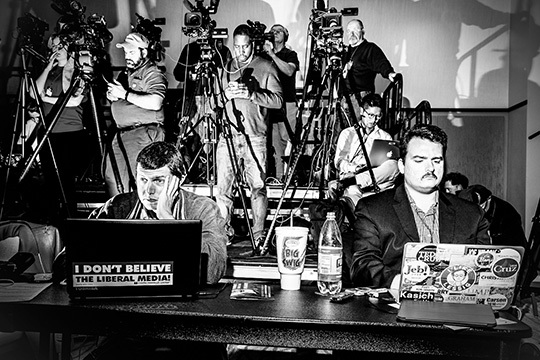 Mark Peterson, The press section at Senator Ted Cruz event, Columbia, SC, January 15, 2016. © Mark Peterson/Redux Pictures. 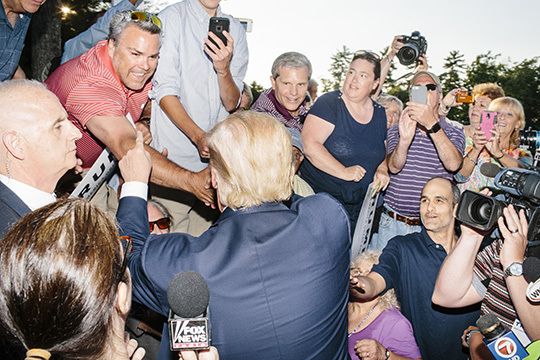 M. Scott Brauer, Trump, Laconia, New Hampshire, July 16, 2015. © M. Scott Brauer. 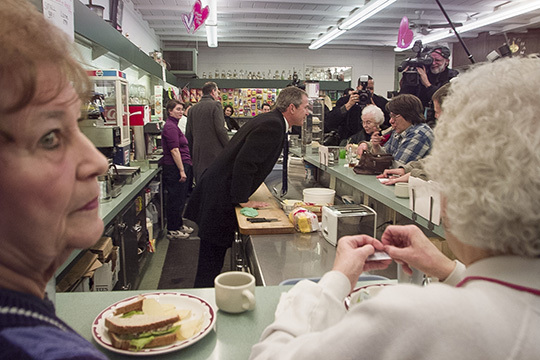 M. Scott Brauer, Clinton, Manchester, New Hampshire, September 5, 2015. © M. Scott Brauer. 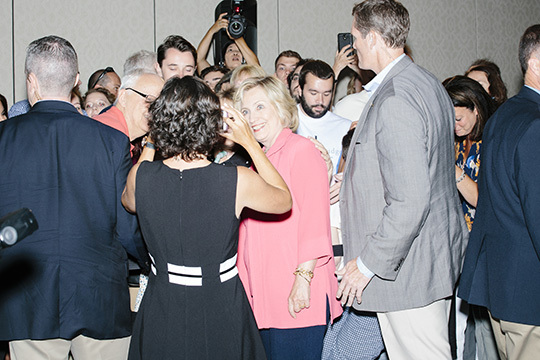 Various photographers, Selfies with presidential candidates, 2015-16, International Center of Photography. 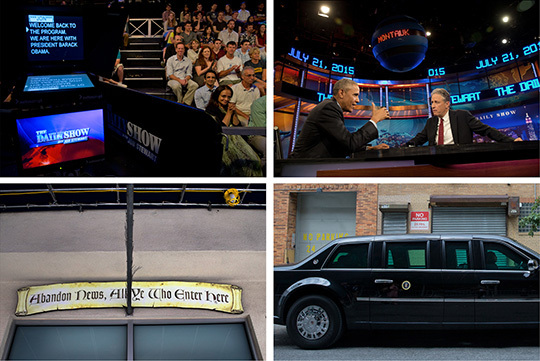 Images courtesy International Center of Photography (ICP).